May 25, 2019 is the day the Minecraft movie will tear fans away from their PCs, consoles, and iPads so they can stare at Minecraft on a movie theater screen. A Minecraft film sounded like a project destined for The Angry Birds Movie levels of almost immediate irrelevance among critics and fans—that is, until several months ago, when it brought in an intriguing writer/director: It's Always Sunny in Philadelphia creator Rob McElhenney. It's an odd paring, but it fits, somehow. With It's Always Sunny, McElhenney has proven for well over a decade that he can produce consistently high-quality writing. 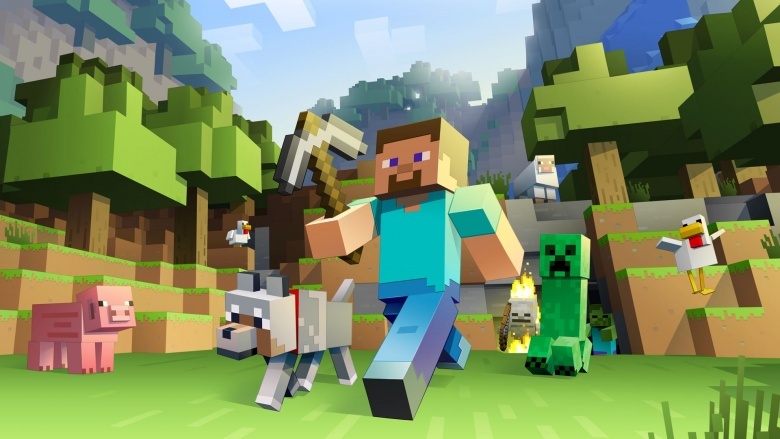 Minecraft will be Warner Bros.' second foray into the world of block-based adaptations. They were also responsible for The LEGO Movie, which is getting a sequel and at least one spinoff. Warner Bros. must be confident Minecraft will have an audience, since May of 2019's movie release calendar is already crowding up with blockbusters like Star Wars: Episode IX and the second Avengers: Infinity War movie. Assuming there are no delays for any of the three films, we may be looking at one of the biggest months in Hollywood history. Expect records to be shattered and a spike in studio executives' yacht-buying habits.